It is true that mobile phone is the need of everyone. One should need a mobile phone in order to fulfill their task and manage work as well. But there are the majority of the people that also want such type of phones that are attractive in appearance and have new features. As it is the old saying ‘majority is authority’. Therefore, Apple provides the perfect definition of style. What do you want for a perfect stylish phone? A good look, big screen, high definition camera, and a perfect glassy look. If you want all these features, then Apple provides you all these specifications in its new innovation. Yes, iPhone X is one of the most stylish innovations of Apple. Apple brings a twist in their iPhone look after the invention of iPhone X. The users of iPhone are amazed to see this new best creation of Apple that is iPhone X. Apple launches this phone on its 10 anniversary as a great gift for their users. It has all the new features and consist of different type of specification that you cannot have on any other phone or even other models of iPhone have not these features. IPhone X has a perfect full screen. It’ screen is curved from the sides and covers the whole front view of the phone. Yes, it is the perfect glassy look that you wanted. It also provides you a large LCD display screen that is about 5.8 inches in size. IOS 11 is provided in the iPhone x so that all the commands are perfectly run in such a big phone and never let your iPhone hang. It also has 3 GB RAM and internal storage is about 64 GB to 256 GB. It also has a wireless charger that also charges your phone within a short time and let you top continue your work without wasting a lot of time. The price of this smart iPhone is comparatively high than other iPhone models. After looking at the excellent features of iPhone X you can definitely buy it. As iPhone X has internal memory of 64 GB and 256 GB to make the iPhone works more efficiently. It is your choice to buy the phone as per your requirement of memory. If you want a high memory phone than you should buy 256 GB otherwise 64 GB also have a lot of capacity to store your data. 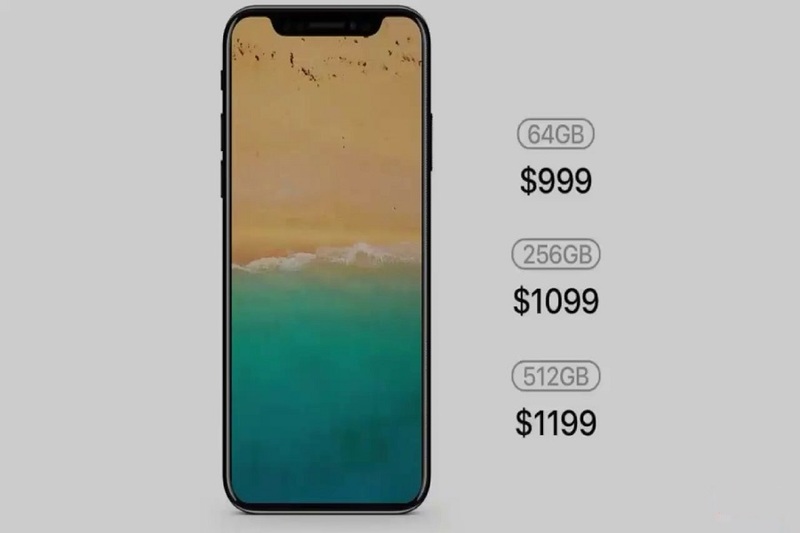 The price of iPhone X also varies according to its internal memory. The price of 64 GB iPhone X is $999 while the price of 256 GB memory is $1,149. We know that the price is high but good things are expensive too. So never think about prices so much just buy this stylish and glassy appearance phone and enjoy the best features that it has. After using this iPhone X, I am sure that you are satisfied with your decision of buying this iPhone X.